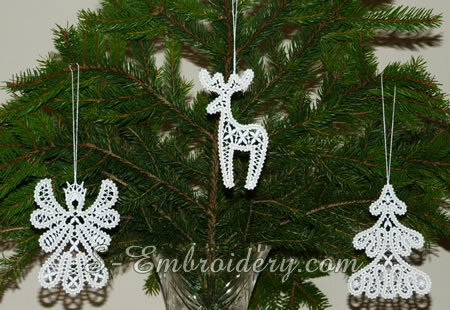 A set of 3 Christmas ornaments in Battenberg free standing lace. 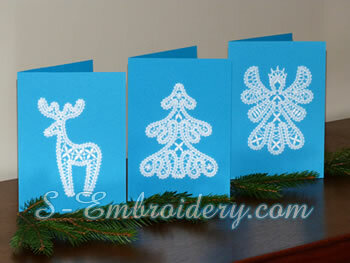 The set includes 3 machine embroidery designs - an angel, a reindeer and a Christmas tree. 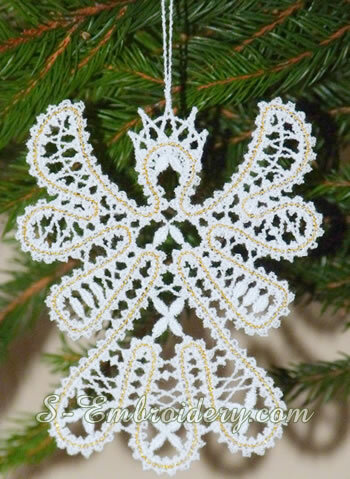 Each ornament from the set comes in 2 versions - single or 2 colors. 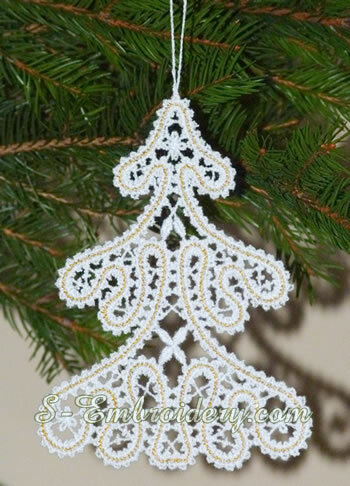 In turn each color version is also available with a hanging loop. 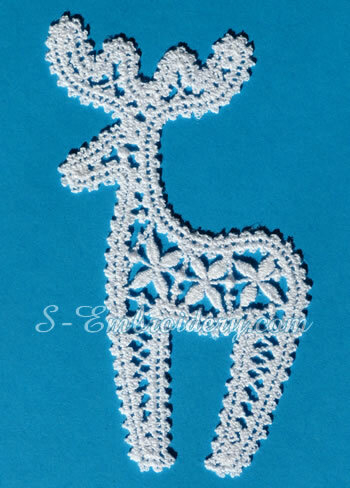 The loop is an integral part of the design, so it will be done in the hoop and will save you time and efforts. 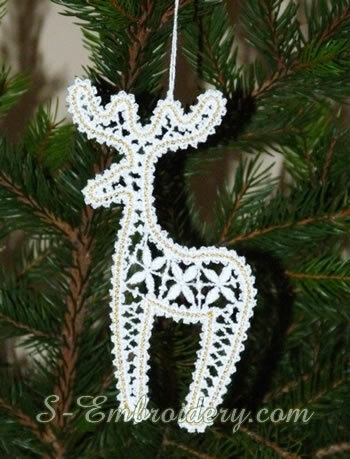 You can use the ornaments both for decorating your Christmas tree and for creating your own Christmas greeting cards. 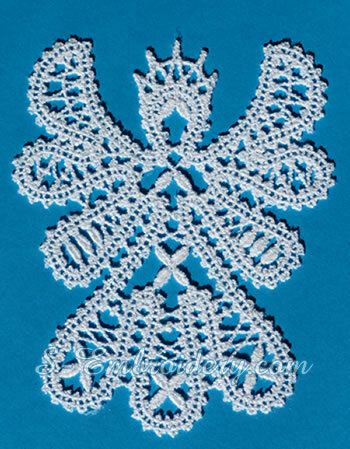 You receive a total of 12 machine embroidery files. 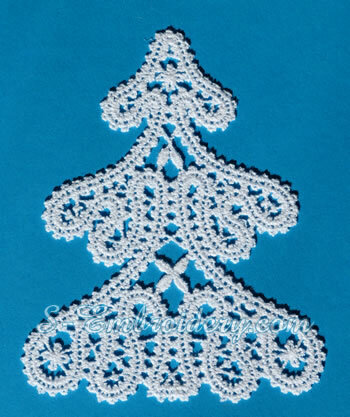 You also receive a PDF file with design information and instructions for creating free standing lace ornaments.